We are the creators and we have been developing stone surfaces since 1996. You may also know our stone surfaces as stone carpet, stone floor or stone tiles. TopStone is the only original surface consisting of mixtures of natural stones and a unique binder with the longest tradition in its segment. The quality of TopStone surface is related to the quality of special resins with certified development and unique strength parameters. Our compact stone surface gives you a compact area without joints, which has a beautiful natural look, is frost resistant, water-permeable, doesn't get slippery and is easy to maintain. 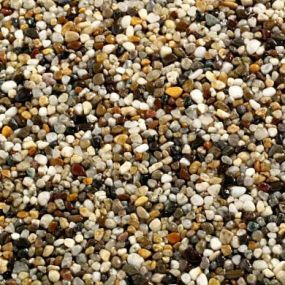 MADEIRA surface consists of repeatedly washed and tumbled gray-brown river stones, with 2-5 mm fraction size for indoor and outdoor use on both horizontal and vertical surfaces. 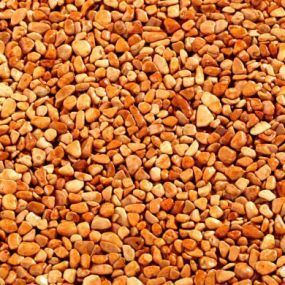 ROSSO VERONA surface consists of orange marble stones, with 2-4 mm or 4-8 mm fraction size for interior and exterior use on both horizontal and vertical surfaces. 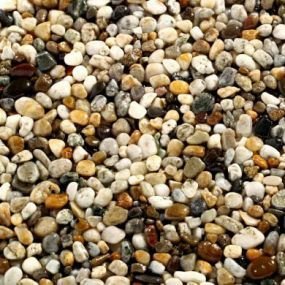 KORSIKA surface consists of repeatedly washed and tumbled gray river stones, with 4-8 mm fraction size for indoor and outdoor use on both horizontal and vertical surfaces. Ich erkläre, dass ich mich mit den Prinzipien der Verarbeitung personenbezogener Informationen vertraut gemacht habe und das Formular absenden möchte.